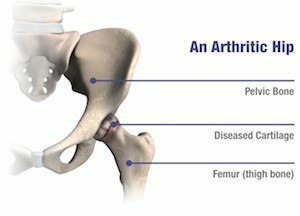 What are the differences between the Direct Anterior Approach and a traditional hip replacement? One difference is the location of the incision. During a traditional hip replacement, the surgeon will operate on the patient from the side. Using the Direct Anterior Approach, the surgeon operates on the patient from the front.2 Another difference is the length of the incision. Traditional hip replacement may require an 10-12 inch incision 3 while the incision used in the Direct Anterior Approach may be 3-4 inches in length.